There’s nothing quite as timeless as a diamond, which is why, in most cases, it is the chosen precious stone for wedding and engagement rings. However, the times of the traditional round cut single stone set inside a four-prong setting are moving along. While this may still be the style of choice for some, new trends are emerging and you may be surprised at what is now being considered ‘all the rage’ among new brides-to-be. These days, pave diamonds, colored center stones, stacked rings, and vintage inspired engagement rings are the hottest new trends. These four different styles carry their own charm and flair, so understanding the unique qualities of each can make all the difference when it comes to picking the perfect ring. The trick to a stunning pave diamond ring is in the setting. Typically in a pave setting, tiny, faceted stones are placed in the setting of the ring as close as possible so that the metal around the stones is not visible. This gives the illusion that the band is actually paved in diamonds, which gives this style its name and identity. A pave diamond ring provides sparkle and fire without seeming too gaudy or over-the-top. Pave stones are set in any type of metal from platinum to yellow gold. When you think about colored center stones in an engagement ring, you may immediately be reminded of the ring that Prince William placed on Kate’s finger to ask for her hand in marriage. The ring actually belonged to his mother, Princess Diana, who received it as an engagement ring from his father, Prince Charles. 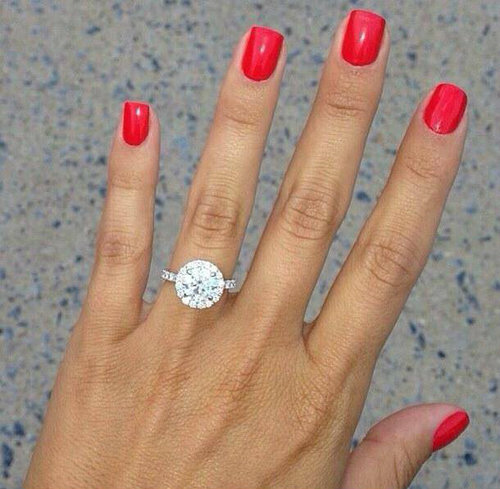 It almost seems that since then, the trend of placing a colored stone in the center of an engagement ring has really taken off. Now stunning selections can be found with every type of stone, the most popular being blue and pink sapphires or very rare light pink or yellow diamonds. Some engagement rings even have black diamonds in the center setting and can be set inside a tension, four-prong, or filigreed setting. With this type of ring, the ‘something old’ aspect of the bride’s wedding day attire is already taken care of. One of the hottest items that brides-to-be are seeking out is the vintage inspired engagement ring. Part of the reason for this is the overall look and elegance of the ring itself. Typically the stones in this ring are round cut, but square cut diamonds are especially popular, particularly when it comes to an art deco setting. Some stand-out details of these vintage masterpieces include impeccable etching detail, delicate milgrain work, filigree settings, and in some cases, gilded pave bands. What could really be better than one ring? A stack of them of course! It is now becoming commonplace for brides to stack their bands, especially when it comes to doing so with eternity bands. These types of bands usually have jewels all the way around and look great stacked. There are several different styles of bands that are available for stacking. Some popular ones include channel set, pave bands, and simple gold, platinum, silver, and even titanium bands. These types of bands can also be easily grouped with your engagement ring in most cases. As an added bonus, there’s always room to add more bands as anniversaries come along. It is important to find the perfect engagement and wedding ring as they will carry with them a lifetime of sentimental value. In some cases, it may be the woman’s responsibility to indicate in some creative way what type of ring she cherishes the most. 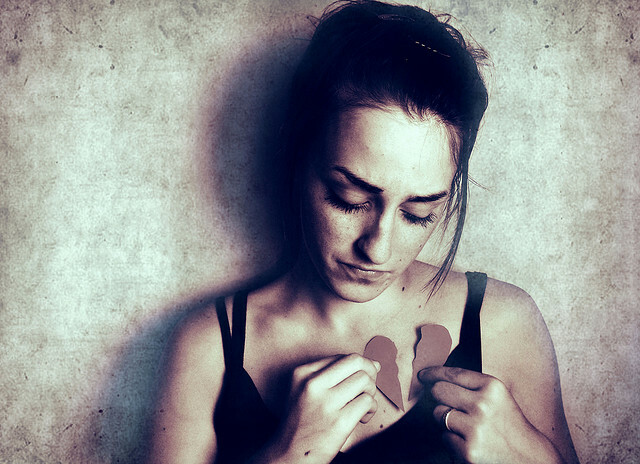 Dropping subtle hints may be effective, or a more straight-forward approach may be best. In any case, when love is in the air, the perfect ring is always the one that is given with an open heart and an honest commitment. 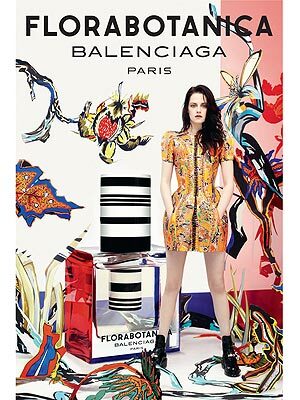 Kristen Stewart Shines On Baleciaga’s Florabotanica Fragrance!